My relatives rented a car from Goldcar MALTA over the last week, 14-19 of September. They was pushed to buy their super relax cover insurance, which I did. Later on the third day, my father noticed a dent that could only be seen if viewed from a distance, as it was in the lower bodywork. He called them immediately and informed them (16.09 9.49), as per their instructions for the super relax cover, and was told to “not worry about it”. Upon returning the car the parking attendant, Mevrui, agreed that it was old damage caused by the previous renter, but still charged me 1150 euros as a “procedure”. He claimed that we would receive it back “from the insurance company”. He made no mention of my super relax cover, nor of the claiming procedure. My parents left the country shortly that morning. During the afternoon, I went to speak with the attendant, who claimed that we would be able to claim it back online, even though our insurance was with goldCar. The rental office personnel gave me blank stares, while the head office simply told me that they would look into it. Following our departure from Malta, we have been in constant contact with the Malta Office. We have got them to admit that we had super relax cover insurance, However, they are still refusing to return the deposit, on the technicality that I did not get a police report, despite him calling them and confirming that it wasn’t necessary after spotting the damage. I’m extremely distressed about this situation and in case I cannot reclaim the charged amount as promised by GoldCar, I will pursue action with the European Consumer Protection Agency. On the 19th June 2017 at 21:10:14 at Malta International Airport we received a hire car booking ref number (B11222626). 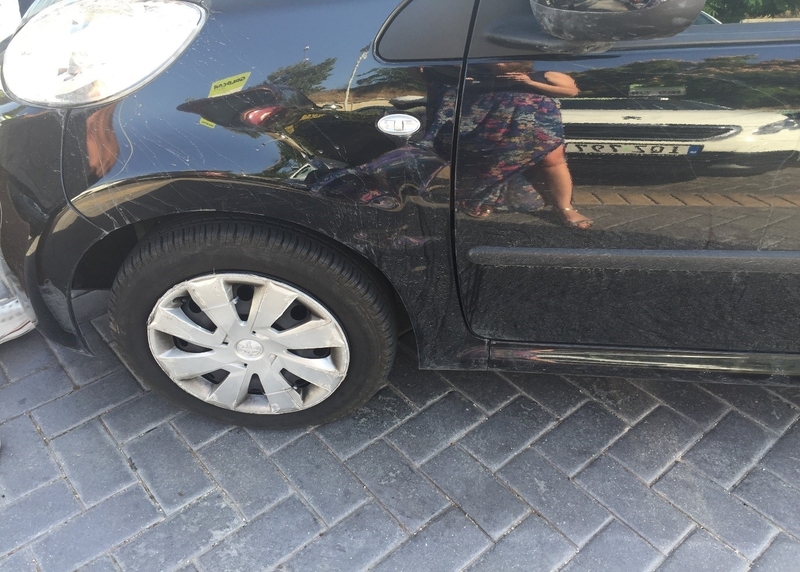 The hire car we received was not of the standard that we were expecting, the car provided was a Peugeot 107 Hatchback, plate number KQZ549. We found the Goldcar hire pick up point and waited patiently, after a while we were directed to the car and then had to approach the Goldcar members of staff to complete the paper work. When the Goldcar member of staff approached the car with myself he apologised about the car being dirty, this was a understatement. We had to ask if the said car could be moved from the parking bay due to poor lighting from the bottom third of the car park, up to the middle, where the lighting was still poor. We were told by the Goldcar member of staff that we could move the car if we wanted too, as he walked away from ourselves to talk to one of his colleagues, leaving us to move the car alone. On inspection we found that the car was extremally dirty (inside and out) which the Goldcar member of staff admitted to and stated it had been raining, but did nothing to resolve the problem. On inspection of the car we found it hard to check the car thoroughly due to the inadequate lighting. The Goldcar member of staff repeatedly stated that scratches under 3cm did not need to be recorded, but didn’t seem to make any effort in pointing out errors or marks that he would recommend being marked down, or had previous paperwork with all the damage on. From the list above and the attached photographs in Annex A, the car had considerable damage all over on most panels. We were not happy with the standard and state of the car, but it seemed drivable and for the cost it was reasonable, so we accepted the vehicle as it was late at night and we had a one hour commute to the hotel and it seemed that all the complaining would have not been taken seriously. On return of the hire car on the 26th June 2017, in day light we were met by the Carpark Manager Marpiu Cachis on handing over the car he took considerable more attention to the car now we were returning it compared to the person who had issued us the car. He was more polite than the previous person, that had issued us the car and asked if there had been any problems. We replied ‘yes’ as the rear left wing/bumper that was held on with a screw had come loose, but there had been no other issues with the rental car. On his inspection he noticed that there was a dent to the front left wing which we had not noticed in the poor light conditions and through the dirt on the evening we initially received it. Therefore this had not been annotated on the Vehicle Condition Report Form and we had not been given a copy of the paperwork of the car and as it was dark we were unable to take adequate photos of the cars condition either to contest this argument. We did state on return that the car was in a dilapidated condition when we received the car and that it was filthy (inside and out). Marpiu Cachis categorically stated that the cars do not leave here in that state and are all cleaned prior to being hired out- so why wasn’t this one?. He then stated that this dent should have been seen on the car and marked down on the form and that we had damaged the vehicle, which is completely untrue. I can state that if we had damaged the vehicle, we would have owned up to it when he first asked, but we had received the vehicle in such a state in extremely poor lighting conditions that we had not noticed it and neither had the Goldcar member of staff. He replied by saying that he could see it in day light and we should of seen it at night under the lights. We argued to no avail that this was unreasonable as we both struggled to see the dent in day light unless you stood at the front of the car looking down the side for the dent. He stated that every car is photographed on return, but over the course of 60minutes myself and partner did not see a single vehicle being photographed when returned, however 3 Goldcar vehicles were returned and not photographed. We asked to see the photos of when we picked up the car and the previous Vehicle Condition Report Form but we were told that the office was shut. I requested to speak to the Manager and to the person that initially issued the car, but all of these things where not available to us at that time. 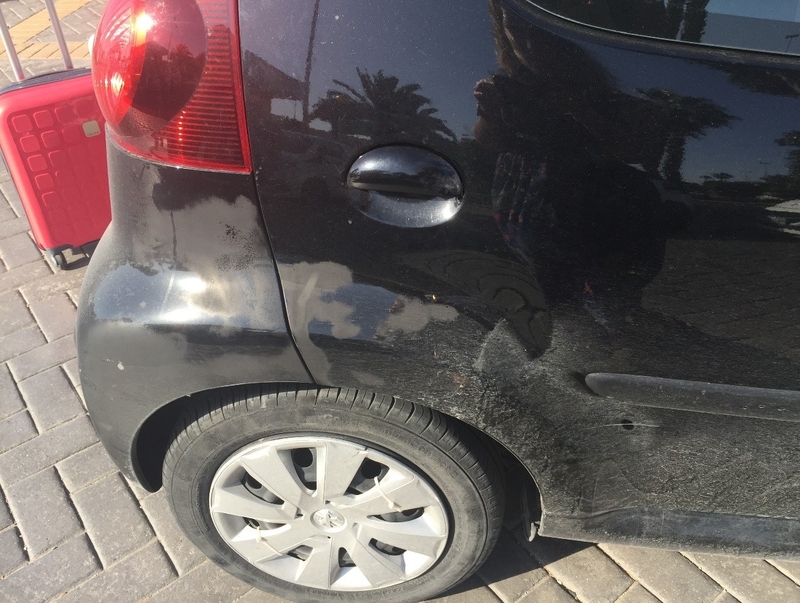 The carpark manager informed us that we would have to pay the excess of the claim working out to be 682.04 euros which included two days loss of car hire for the damage that we did not do to the car and which was already present on the car. We asked what the process was to dispute this as we know we are not to blame for the damage to the car. We were informed that we had to pay the excess of 682.04 and claim back through our insurance. We then asked what happens if we did not pay the excess. 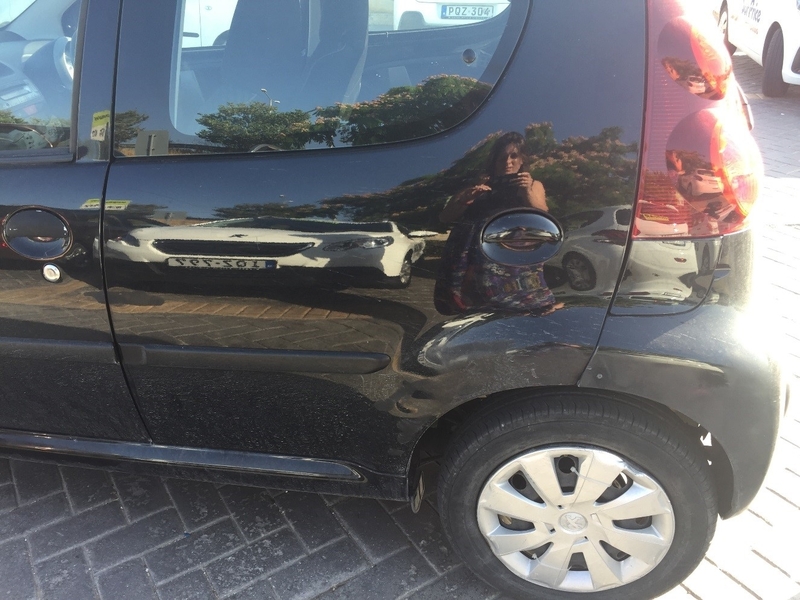 The carpark manager then informed that if we didn’t pay the 682.04 euros that we would lose the full 1350 euros secured against the car, but on return to the office he would look at the photos and if he does see the dent he would refund us the 682.04 euros. I also asked Marpiu Cachis why all of the other damage hadn’t been fixed to the vehicle even though customers must have been charged previously to damage, he replied that fixing the vehicles took time. So why after the alleged damage are customers charged for loss of rental costs but the vehicles are still then issued with damage on them like ours? I am now requesting to see the photos of the condition of the vehicle that he stated where taken before we rented this vehicle and the completed work that we have been charged for as I believe that this is completely unfair sum that we have been charged as per item may not be a genuine estimate of the company's loss and could be challenged under the Unfair Terms in Consumer Contract Regulations 1999. On returning to the UK we have made numerous attempts to contact Goldcar rental on + 356 77067659/ +356 99514303 to resolve this to no avail, resulting in this said email. I can be contacted on the above contact number and email address. I would like a reply within the next 14 working days, with the photographic evidence of the hire car on collection as was stated would be available by your member of staff, a pervious Vehicle Condition Report Forms detailing no damage of the said right wing area of the car but as you can see this is the left wing he has highlighted has new damage on but has would not listen to use. If nether of this information is not available in the way of the photographic evidence or a previous Vehicle Condition Report Form, I would like photographic proof that the hire car has been fixed, with costing of said work that we have been charged for. Please note that your case is a highly unusual situation. Therefore we invite you to open a query here: https://www.goldcar.es/en/incidencias/. Our customer service department will deal with your case directly. GoldCar Malta (Int Airport) Scammed/overCharged For Damages. Beware they're crooks and they make their money from scamming people for extortionate prices. If you've already booked with them and don't want to cancel as there is a high fee make sure to take pictures of the car before hand and a videos is a must! don't make my mistake. When i returned the car i admit i had a slight scratch (just a scratch no dents etc) on the front bumper, i had got charged 440 euros for this on top off, 130 damage admin fee and 80 euros for the cars being out of service for 2 days (i showed the picture to a local garage and they said they would charge no more than 80 euros to fix) on top of this there was a scratch on the passenger side wing wirror, i'm pretty sure it was there before i picked up the car, me and my friends did not know about it untill we dropped the car off, so that's 220 euro added to the damages, all in all totaling up to 1000 euros! I was upset about this but was re-insured again and again by the goldcar hire workers when i returned the car im fully covered from the insurance company i booked through with (argus car hire) that i wouldn't have to pay a penny along as the excess is under 1400 euros im covered for all this, they explained the process of sending them the reciepts, the forms, the links you go on etc. So i signed for the damages based on this and got my flight back home. Then phoned up the insurance company only to find they've lied! im covered for anything over 1400 euros anything under that i have to pay, so i paid for everything, really not happy as i wouldn't off signed for the damages otherwise as i admit the scratch was mine i should only of paid 220 euros on that on top of fees (that's still expensive) but the fact i forked out a 1000 euros for the damage done is a joke, im suprised this company is still going, they're con artists and I don't know how they get away with it, they've got it down to an art. •	When I picked up the car I was given no diagram of the car to mark out any signs of damages (I was unaware about this until my parents lectured me on it when I arrived back home, I'm 21). they simply started up the car for me and told me to walk around the car for signs of damages, at the time I couldn’t see any damages. •	GoldCar Rentals Malta, google reviews, are really bad, a lot of people have been scammed out there money with similar stories. •	I could not find an email directly locating to Goldcar Rentals, I did find an email supposedly directed to their CEO… I sent them an email explaining the situation and that I wasn’t happy, they replied back to me saying they are looking into it and investigating it, which is weird cause they never asked for a pacific car details such as the number plate or customer code or even my name, anything like that, so how can they identify the car/incident? (they also give you super relax cover or something stupid where if you have any damages to the car, ring them or report it within an hour or the cover is void, this is a con, the contract as a whole is a con with unfair terms, but they know you are not likely to cancel when reading through it or not sign it as there is a 50 euro cancellation fee i belive so you go ahead and sign the contract with rubbish terms). Best bet, pay extra for a more reputable car hire company. Thanks for your comment. We're trying to improve our services and the opinion of customers is essential to do so. 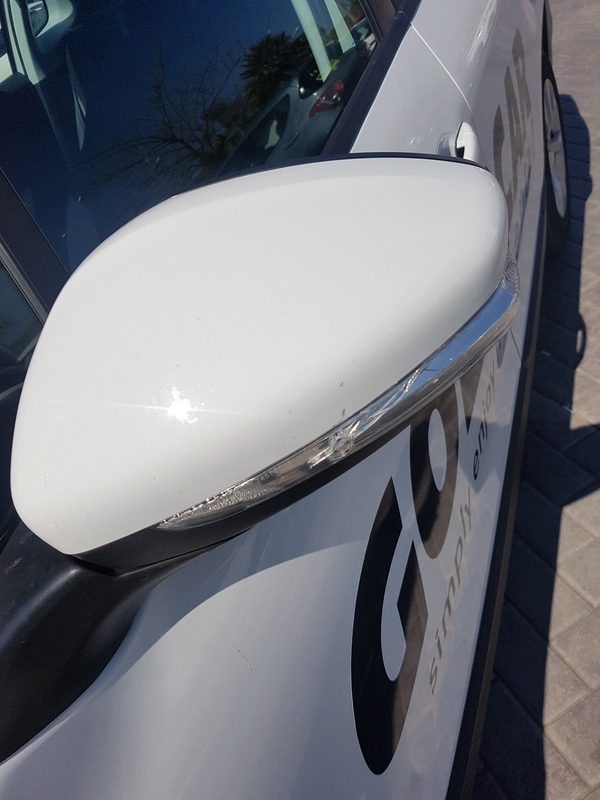 Please contact us directly from our Customer Service system through the following link: https://www.goldcar.es/en/atencionCliente/ at the bottom right of our website, you can submit a query. Hello everyone. If you are informing yourself before renting I have only one advice to you and it is to stay away from this company. I was so disappointed with the service, the car and the actual insurance scam they force on you. But those aren't even the worst parts, the car they rented us was in absolutely no condition to be on roads. Here is a brief list of things that we noticed about the car about 5-10 minutes after leaving the airport: -Both of the side view mirrors could not change positions unless manually forced because they had been previously broken. -The reservoir was less than half full (when we had paid for it to be a full tank) -One of the headlights was burnt out (or non-existent). -There was no windshield wiper liquid. -The clutch was overly used and could barely change -Passenger outside front body had bumps and huge scrapes on it. The door made noise when we opened it. -The mileage stated in the car was MUCH more than the one stated on the paperwork. -The carpets on the ground were ripped. For a full review of our HORRIBLE experience please see our review on our website : https://thegoodbears.com/goldcar-rentals This is far from being a single incident and it is obvious that this "company" is a scam. Do not be fooled by the apparent good deals. We are surprised to hear that the vehicle you were given was not in optimal condition. Offering top rate vehicles is our number one priority, which is why 70% of our car fleet is renewed annually. We do think that the office sold out all the cars and maybe decided to use a older one. However this is extremly unusual. Stay AWAY from renting any cars with Gold Car in Malta. When we returned the car to the Malta Airport location, there were 3 people ahead of us that were returning their cars. ALL OF THEM - and I mean ALL OF THEM were charged fees due to supposed car damage. The folks in front of us had to fork over the equivalent of $700 and then we got hit with $500. It seems to be how they make their money, hitting you with bogus charges. They may come up the cheapest car rental when you search, but believe me, you'll wind up paying extra in the end. NOT WORTH THE TIME OR MONEY! This is in response to the "Victoria R." Gold Car Representative. Unfortunately, my case is not a highly unusual situation. Read the hundreds of negative reviews Gold Car is receiving. Maybe the very fact that you feel my case is unusual is why Gold Car is so inept and a disaster. Gold Car should be investigated for rip off tactics and for fleecing unsuspecting customers when they turn in their cars. This is how you are really making your money, by charging outlandish fees for damage that doesn't exist, and then holding the customers hostage until they pay. Most of us return our cars at the airport location so we have planes to catch and don't have time to deal with your ignorant staff. I hope my review goes a long way to help steer others away from ever dealing with Gold Car. You are not worth the headache!